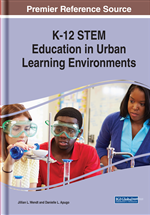 This chapter provides insights to common barriers to conducting STEM professional development in an urban setting. The chapter will illustrate the complexity of integrating changes to STEM teaching practices from a systems perspective, from the lens of a researcher-practitioner conducting an 18-month study of professional development in a K-8 school in a metropolitan, public school setting. Specific challenges along themes related to the classroom level, the school level, and the district level will be discussed. Finally, the chapter concludes with implications and suggestions for future professional development providers, and schools and district leaders who are considering implementing instructional and curricular change related to STEM education. The rationale for this study was based in research that documents challenges to implementing alternative pedagogies, specifically the use of inquiry-based teaching in elementary and middle school science classrooms (Abd-El-Khalick et al., 2004; Anderson, 2002; Capps & Crawford, 2013). There is also evidence that professional development of new curriculum and pedagogies requires continued support in order to be effectively implemented (Banilower, Heck, & Weiss, 2007; Desimone, Porter, Garet, Yoon, & Birman, 2002). However, because outside expertise is often a limited resource for urban schools, this study also intended to examine the creation of professional learning communities and the use of collaborative inquiry communities (a specific form of PLCs) within the process of developing a STEM curriculum and pedagogy, to build teacher self-efficacy to sustain new teaching practices beyond externally provided professional development. Professional Development: Opportunities for teachers and staff to engage in learning specific to topics related to improving their curriculum and delivery of instruction. STEM Curriculum: Curriculum integrating science, technology, engineering, and math teaching and learning standards. Teacher Leadership: Ability of teachers to influence teaching and learning beyond their own classrooms. District Initiatives: Plans or strategies implemented at the district level that impact teaching and learning within schools. Urban Education: Schools in large, densely populated areas with diverse populations, typically characterized by large enrollments and complex bureaucratic systems. Principal Leadership: Actions of the building leader that provide guidance and direction to improve teaching and learning within a school. Professional Learning Communities: Groups of teachers working together to improve teaching and learning within their classrooms. Teacher Agency: A teacher’s willingness and ability to take action and make changes. Integrated Curriculum: A curriculum that incorporates literacy and math standards within the STEM curriculum.